If you have been injured due to the negligence of someone else and are interested in speaking with a lawyer, you need to find a firm that you can trust. However, we understand that choosing a lawyer you can trust is a difficult task. At The Umansky Law Firm, our personal injury law attorneys are experienced in a variety of cases and situations and have extensive trial experience. We can guide you through the legal process and explain your rights in a clear and crisp way. Experience tells us that many injury victims rely on their insurance companies to compensate them for their losses. Insurance companies, however, have a vested interest in paying you as little as possible. Let us be your representative with the insurance companies. We will help you get fair compensation for your losses. Client-first representation is at the very heart of the our firm. It means that each client we work with will be cared about, valued, understood and heard. It is the core principal that governs how we operate as individual attorneys and as a united and spirited legal team. Our expansive roster of highly rated personal injury lawyers and passionate support staff are committed to excellence. The Umansky Law Firm took the case of a young father who was a construction worker injured while on the job. Our client’s injury was sustained while constructing a new home in an up and coming subdivision. After an investigation, the lawyers at the Umansky Law Firm determined that the construction company had failed to install a barricade on the second floor of the new home to keep the workers safe. Due to this negligence, our client fell and sustained severe injuries. Our client fractured his leg and had to undergo two surgeries due to the accident. As a result of the operations, our client — the family’s primary wage earner — missed several months of work. The Umansky Law Firm demanded that the named defendants take responsibility for their negligence, but they refused. As a result, we filed suit and vigorously pursued a claim against their insurance coverage and successfully reached a six-figure settlement. When a tumor becomes cancerous, you don’t see a general physician. In much the same way, a lawyer practicing in personal injury is an assurance of competence and when an accident becomes serious, the skills of a lawyer become a necessity. If you’re still not sure whether you need the help of a personal injury, then we encourage you to ask yourself the following questions. Has your injury significantly impacted your finances? Are you unsure of when or if you can return to work? If you answered ‘Yes’ to at one of these questions, then we strongly encourage you to stop talking with your insurance company and contact an attorney to discuss your case. 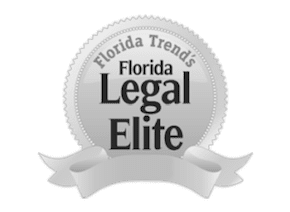 If you have been injured in an accident through no fault of your own our Orlando personal injury attorneys who will fight to get your full and fair compensation for your losses. At The Umansky Law Firm, we provide the same aggressive representation to all our clients, regardless of the severity of their injury. Call or contact an attorney anytime, day or night, for a free consultation.